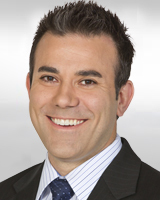 Jason Oliveira joined the Action News team in 2004. Jason is a Tulare native. After graduating from Tulare Union High School, Jason went on to earn a B.A. degree in Mass Communications at Cal-State Fullerton. Jason began his broadcasting career at FOX Sports in Los Angeles, before stints at KTEN in Ardmore, Oklahoma and KESQ in Palm Springs. Before moving over to the news anchor chair Jason covered everything in Valley sports, from Fresno State bowl games to the Bulldogs' remarkable 2008 College World Series victory in Omaha, Nebraska. A member of the The Society of Portuguese-American Students Hall of Fame, Jason is very active in the local Portuguese community. Travis Fendley confessed to killing his own grandmother inside her Fresno home in 2012. Local politicians and developers came together Friday to turn dirt on the groundbreaking ceremony at Annadale Commons. Six Fresno churches have been broken into in the past month and police believe the burglars are after musical equipment. 17-year-old Andrew Vann was gunned down in 2016 over an ounce of marijuana.